Pelleossa is a slender, eclectic chair that expresses its character through detail. 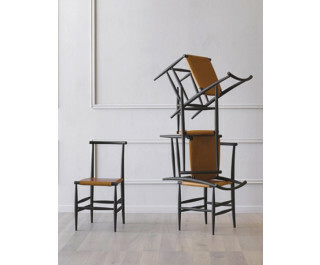 It is inspired by the Italian chairs of pre-industrial times, sporting the attitude of conceptual art. Also available with armrests, it completes with the different combinations of the seat.